What is the MLS and how does it work? Is there enough room for both the present & the future? Are there enough bedrooms and bathrooms? Is the house structurally sound? Do the mechanical systems and appliances work? Is the yard big enough? Do you like the floor plan? Will your furniture fit in the space? Is there enough storage space? Does anything need to be repaired or replaced? Imagine the home in good and bad weather and in each season. Will you be happy with it year round? Take your time and think carefully about each house you see. Ask your real estate agent to point out the pros and cons of each home from a professional standpoint. Can I buy a home and sell my current one at the same time? Yes, you can—but it's the real estate equivalent of walking a tightrope. On the one hand, if you buy a home before you sell the one you're in, you're overextended financially; if you sell before you buy, you might need to rent awhile before finding a new place. But there are ways to do both at once, and one option is to instate a “sale contingency” in your contract. This means you only agree to buy a home if you can sell the one you're in. The only downside is if your seller doesn't agree (which is possible if they want the timing set in stone). How quickly can I close? Typically it can take 30 to 45 days. This gives you enough time to do the investigation on the property and get a loan completed. It also depends if you are selling your home at the same time and the type of mortgage that you are getting. Should I get a home inspection? While buyers often wonder if a home inspection, most Realtors unequivocally say yes, yes, and yes. A home inspector takes a lot of weight off of your shoulders by looking into the condition of the roof, electricity, heating and air, plumbing. Remember the old adage “buyer beware”. Can I back out if I change my mind? While buyers can always back out of a deal, doing so without good reason may forfeit their earnest money (the cash put down to secure the offer, typically around 1%-2% of the home's price). But there are some ways to walk with your earnest money in hand. It can also depend on any contingencies that we write into the offer. An example would be a contingency for a roof inspection and if the roof needs replacing, the seller can either pay to have it replaced or the buyer can walk with no penalty. What is involved in the home buying process? 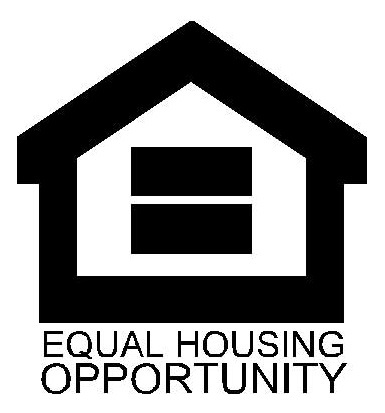 Buying a home is a step toward an American Dream, financial security and building equity. It is typically an individual or family’s most significant investment making the process both exciting and overwhelming, especially for first time homebuyers. Understanding the process and having the right agent to assist you can make home buying enjoyable and rewarding. We are dedicated to ensuring you are well informed of the current market dynamics, the steps and commitments you will be making, as well as guiding you through the local and legal requirements to property ownership. Transparency is essential to us. We will be working together as a team to help you purchase a new home. Understanding your needs is paramount to knowing how we can best guide you through the process. We will work with you on the right strategy, taking into account what you need as well as sharing with you what must be done. We will provide you with local, accurate and current information so you can make informed decisions every step of the way. We will look out for your risks, negotiate on your behalf and focus on our fiduciary responsibility to you, our client. There are many requirements in the home buying process on local, statewide and federal levels. It will take time and communication to consider the important factors in deciding which home to buy, including desired locations, proximity to work, schools and transportation, neighborhood characteristics, community requirements, financing options and price ranges. Our experienced, local knowledge will compliment your online and neighborhood searching, providing clarification on the pertinent information regarding the home you want to buy. When is the right time to buy? Deciding when to buy a home is a personal, financial and emotional decision. Exploring the idea, stages and requirements involved in home buying is a good first step to making the right decision. Renting versus buying: Don’t just focus on the monthly payment. It is important for your mortgage or rent payment to be manageable, but take into consideration the mortgage interest deduction, or the emotional comfort of having your own home. Future plans: Where will you be in the near and distant future? There are options of what to do with your property in the short or long term, like living in it, renting it or selling it. These options will depend on future market values and if you are planning to expand your family, or eventually move. You should take into account the amount of time you are planning to own the home. Building wealth and investing in your future: While there are no guarantees or crystal balls on the future values of real estate, you will build equity in your home over the long run by paying down your mortgage or realizing an increase in value when you sell. When you invest in your own property, you benefit from protecting income and are investing back into your own pocket. The comfort of a home: Owning a home isn’t just about the investment or equity. It is a place to create a comfortable environment, a place for family and friends, and a place to create memories. The emotional benefits of a home are priceless. Current interest rates and home prices: Trying to perfectly time the market is nearly impossible. Historical information and current market trends are interesting, but the market is cyclical and the value of owning a home isn’t just in the equity you build, but also in the memories you build. Your financial status: Are you ready for the financial responsibility of owning a home? You should consider all costs involved: down payment requirements, mortgage payment, homeowners insurance, property taxes, association dues, etc. Properties need tender loving care so the amount, and cost, of “fix it” items will vary depending on the condition of the home you buy. How should I finance my home? Your income level, debt and credit information will be used to pre-qualify you for an amount the lender thinks you can afford. However, a pre-qualification is different than a pre-approval. A pre-approval takes into account your credit report, the debt-to-income ratio and a more in-depth analysis of your financial situation. Once pre-approved, you will receive a pre-approval letter that can be provided to a seller with an offer. Often the pre-approval process comes after homebuyers begin looking at homes, but a preapproval can provide a more definitive price range for your search and is best completed as a first step, or as early in the home buying process as possible. There are benefits to obtaining a mortgage on your home. These benefits can help you decide if it is the right time for you to buy and provide other values, such as the mortgage interest deduction to offset income against your taxes or making mortgage payments as an investment into building your wealth. The combination of your financial profile (income, debt, credit, etc.) and the property (condition, value, etc.) gives the lender a complete picture of the risks and benefits of providing you with the loan. Once all these items are reviewed and approved, you will be in the home stretch for closing on your new home. Do you have an app to help with my home search? A lot of home shopping happens online when you can peruse listings, neighborhoods and information. But we know that you still like to load up the car and drive around looking at homes and communities in person. Your self-guided tours happen at any time of day, any day of the week. Wouldn’t it be great if you could put the information of every property for sale right there in the car with you, instantaneously? NextHome’s Mobile Connect does just that. You can easily narrow down which properties in an area have the potential to be your dream home. Save time, money and gas. Anytime you see a home of interest, pull out your mobile device. You can text into our system and we’ll immediately send back details and photos about that listing and any other listing. How? All you have to do is ask us for our unique text code and you will have access to information on all active properties in your area. It’s free and easy! Mobile Connect: Real time. Real information. Real buyer services for a better home shopping experience. From NextHome. What happens when I find my dream home? It’s time to make an offer, so what happens next? First, we will provide you with as much background, details and disclosures on the property as possible. Next, we will discuss a strategy for your offer considering your needs while making it as appealing as possible to the sellers. We will represent your interests when presenting your offer to the seller and their agent. We will highlight and discuss the details of your offer as well as address any questions they may have. Follow up negotiations may be necessary during your offer consideration period. The seller could take a number of steps in response to your offer such as: accept it as is, reject it as is, counter specific changes to the offer, counter multiple offers with the same or different changes to each offer. Each contract and offer is different. Deal points will take into consideration the final position of both parties, diligence in investigation of the property, timing to close and moving necessities. We will provide you with guidance, options, ideas and information along the way. We will also follow through in presenting and executing on your decisions as we represent your interests. Once both parties are able to find common ground on deal points and the offer is fully accepted and executed, it will be time to move toward closing! What happens after we have a contract on a home? We have found you a home, successfully negotiated a contract and have an accepted offer. It is time to begin steps during the pending process. Third party attorneys and/or title companies may be involved to facilitate the neutral management and disbursement of all monies exchanging hands, as well as specific paperwork or inspection requirements. In this process, you will review a title report and history, receive receipts of any deposits, and review final estimated closing costs, as well as sign your closing paperwork. We will manage the details throughout the pending process, providing you guidance on what you need to complete and when. We will also coordinate with the multiple involved parties to ensure each are meeting the required actions and deadlines. When every step is complete, and every condition is met, you will be able to sign your final paperwork, deposit remaining monies, close and receive the keys to your new home! Why should I pick NextHome Custom Realty to represent me? Real estate agents and real estate companies are unique. Each possesses different skill sets, educational backgrounds, experience levels, marketing and advertising resources, and service commitments. Here is a guide to important considerations when selecting your agent. We will address all of these items regarding our team, but you should also consider asking these questions of any agent being interviewed in the process. Is your agent knowledgeable about the local market? Does your agent know current market factors and trends? Is your agent a REALTOR®? Not every licensed agent is a REALTOR®. REALTORS® are members of the National Association of REALTORS®, as well as their state and local associations. A REALTOR® has committed to the highest levels of ethics in the industry and will be well informed through the resources, and education, provided by the associations. Does your agent have access to the multiple listing service, where new listings are added from all agents in the community? Can your agent provide client references and testimonials from past clients? Are they a member of a reputable company with experience in the market, resources for training, marketing and transaction tools? Is your agent focused on serving you with communication and a style that works for you? Can you trust and rely upon your agent to represent you, negotiate for you and focus on your needs? What is the process for selling my home? How do you develop a custom marketing strategy for my home? Next 30 Days: Traffic results of the national listing distribution exposure, Continuously update property profile and showing information on the MLS, Trulia.com, Zillow.com, Homes.com, Realtor.com, Yahoo.com and other sites, Continue private showings and open houses until pending, Provide updates on buyer and agent responses from showings/open houses, Review market conditions, changes and price position, Qualify interested buyers and prepare presentation of any offers. Will you do Open Houses for my house? Today’s homebuyers begin their search online and use the Internet to preview homes. They are hunting for listing, neighborhood and home buying information, but that is not all. Research is just the first step. Today, our product consumption and purchases primarily occur online. While we know eBay and Amazon are great alternatives to mall shopping, most buyers do not purchase a home online, sight unseen. They want to walk through the home, get a sense of the lifestyle it offers and imagine what it would be like living in it. At NextHome Custom Realty, we built an in-house system to unite the tried and-true Open House with cutting-edge technology. We send our scheduled open houses to national websites who display showing times and information. We also display your home on top real estate search sites like Zillow.com, Trulia.com, Homes. com and Yahoo.com. This, combined with our Open House Syndication Program, puts your listing heads above the rest and increases your exposure to the number of interested buyers. What is your Mobile Connect and what will it do for me? A lot of home shopping happens online when you can peruse listings, neighborhoods and information. But we know that buyers still like to load up the car and drive around looking at homes and communities in person. Their self-guided tours happen at any time of day, any day of the week. Wouldn’t it be great if we could put the information of every property for sale right there in the car with them, instantaneously? NextHome’s Mobile Connect. Just another way we bridge the online and offline homebuyer experience. NextHome’s Mobile Connect does just that. Buyers can easily narrow down which properties in an area have the potential to be your dream home. Save time, money and gas. Anytime buyers see a home of interest, pull out your mobile device. They can text into our system and we’ll immediately send back details and photos about that listing and any other listing. How? Your house will have a unique test code that buyers can enter to get all the information. It’s free and easy! Mobile Connect: Real Time. Real Information. Real Buyer services for a better home shopping experience. From NextHome Custom Realty. Will you advertise my house on social media? Community — a shared social network with common interests and values — is at the heart of our lives. So much of our communal world has moved into the online medium, enabling us to connect, correspond and follow our social network in new ways. A community is also a focal point of the real estate process for buyers. Not only do they purchase a home based on the community and lifestyle they are looking for, they also rely heavily on the opinions of their shared network. Nearly 2.8 billion people have social media accounts and consumers today are more likely to make a purchase based on the reviews, interests and opinions from people within their sphere. At NextHome Custom Realty, we utilize online social media networks to market your property and make it easy for buyers to share your home with loved ones. This sharing process can increase their interest in your home and reach homebuyers who are searching through social media for the right place to build their lives. 52% of online adults now use two or more social media sites. 46% of web users will look towards social media to make a purchase. 76% of Facebook’s users engage daily. Do you market my house outside this area? Today’s homebuyers begin their search for properties and information on the Internet. Online and mobile real estate searches have grown each year while the use of print media in home shopping continues to decrease. The Internet (86%) and your Real Estate Agent (79%) are the top two most useful information sources for homebuyers (National Association of REALTORS® Profile of Home Buyers and Sellers, 2016). Want to maximize your profit within a timeline right for you? Marketing your home online is essential in reaching the broadest audience of buyers. We create high quality, professional online marketing of your home with direct avenues to communicate with us for quick, responsive access to more information and showings. ebizmba.com, Alexa.com, Statista.com, StreetEasy.com, cnn.com, fortune.com, GetMLSInfo.com, money.com, HomeseekerUSA.com, MyAreaNetwork.com, SearchUSMLS.com, comcast.com, SFExaminer.com, opinion-tribune.com, TheTimesHerald.com, MiamiHerald.com, ChicagoTribune.com, herald-progress.com, DirectHomes.com, LosAngelesTimes.com, DelawareOnline.com, DailyRegister.com, AZCentral.com, BaltimoreSun.com, StarTelegram.com, ElsberryDemocrat.com, HeraldChronicle.com, HDHomes.com, TheSunChronicle.com, CommerceCitySentinel.com, EveningTribune.com, DailyPress.com, and hundreds more! Do you do video marketing? We live in the digital age of multi-media channels. Consumers are gravitating to mobile media and often consume from multiple mediums at one time. There are more than 2 billion unique users visiting YouTube each month and half of YouTube views are on mobile devices. Today’s homebuyers are an empowered consumer generation that does their homework ahead of time. They search, research, watch, visit, try, purchase, and review. With over nine out of ten homebuyers beginning their search online and 403% more inquires for listings with video than without, video marketing is key to reaching the largest audience. Showcasing a home through video marketing gives homebuyers a sense of the features and lifestyle that cannot be conveyed through description or even photos. Ninety percent of consumers find video helpful in their decision process and an estimated 74% of all Internet traffic in 2017 will be video. Video has become key in the home buying process when considering a home and sharing it with their advice network. Video is also one of the most effective and viral marketing options to reach out of area homebuyers looking to relocate or purchase a vacation home. How should my home be valued? Determining the value of your home comes from looking at a Comparative Market Analysis (CMA), considering influencing factors and the relationship of a comprehensive marketing plan with a pricing strategy. Comparative Market Analysis: During the CMA process, we will review related properties recently active and sold on the market. Recent sales are the strongest indicator of what a current buyer and current seller are able to contract for a successful close, resulting in today’s fair market value. Sold properties illustrate the relativity of home location, features and salability with buyer interest. Current listings will indicate the level of competition and homes being compared against your property. Influencing Factors: A number of factors influence buyer interest in both their willingness to make a purchase and the price they are willing to pay. Some factors like consumer confidence, the state of the economy, availability of money and interest rates, are important considerations outside of our control. Other significant factors are also finite, such as the location, size and features of the home. The condition of the home also has a substantial impact on buyer interest and their evaluation of what the home is worth when compared to competing listings. Marketing & Pricing Strategy: In addition to consideration of a CMA and influencing factors, it is important to consider the impact a comprehensive, quality marketing plan will have in reaching the widest breadth of current homebuyers, and their perception of the value of the home. The presentation of your property impacts whether a homebuyer puts it above or below the value of your competitors. In short, they see the home as worth more or less than the others. How should I price my house? Deciding on the best listing price for your home is one of the most important and most challenging steps in the selling process. If your home is listed at a price that is above current market value, prospective buyers who would otherwise be candidates to purchase your home, may turn away or lose interest. If you price your home too far below market value, you could ultimately be leaving money on the table by starting too low at the beginning of the negotiations. Most buyers purchase homes within the fair market range with even more purchasing a home if it is a better price than market value. Pricing your home at market value exposes your home to the greatest percentage of prospective buyers and increases the possibility of a sale. Another critical factor related to the pricing strategy is timing. A property attracts the most attention, excitement and interest when it is first listed on the market. A home that is priced right and well marketed when first listed is positioned to generate the level of interest needed to sell the home for the highest amount possible. Improper pricing at the initial listing misses out on this peak interest period and may result in your property languishing on the market. The result of a languishing home is typically a below market value sale, or no sale at all! How do you help with contract negotiations? We will highlight and discuss the details of your offer as well as address any questions you may have. Follow up negotiations may be necessary during your offer consideration period. You could take a number of steps in response to the offer such as: accept it as is, reject it as is, counter specific changes to the offer, counter multiple offers with the same or different changes to each offer. Each contract and offer is different. Deal points will take into consideration the final position of both parties, diligence in investigation of the property, timing to close and moving necessities. We will provide you with guidance, options, ideas and information along the way. We will also follow through in presenting and executing on your decisions as we represent your interests. Once both parties are able to find common ground on deal points and the offer is fully accepted and executed, it will be time to move toward closing! Home selling today should be as smooth and stress free as possible. You’re busy juggling work, family, friends and more, all while preparing your home for sale, keeping it up for showings and getting ready to relocate. Our goal is to help make it as easy as possible to navigate this process and the requirements you are obligated to do as a seller. Our services focus on utilizing mobile and paperless options to service you on your schedule during the selling process. Timing is crucial in your transaction and the milestones we have to meet together can happen faster and easier because our team utilizes software, transaction management systems, e-signature platforms and mobility. Your success and experience in the home selling process is important to us. We provide a mobile, paperless experience to service you, your way.